While we focus on backyards, we can also make the front of your home look stunning at night. With Conscape’s leading expertise in LED landscape lighting solutions, we will design the perfect outdoor lighting system that best showcases the beauty of your home. We feature a wide range of LED lighting finishes and styles. Visit our portfolio to see more samples of our work. 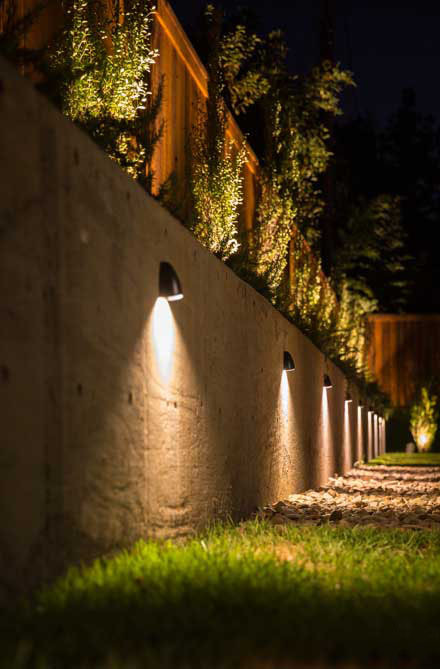 The advantages of having LED landscape lighting in your backyard vary in many ways! For starters, LED lighting produces more light per watt than its counterpart, incandescent bulbs. This in return aids with energy saving and being more environmentally friendly. 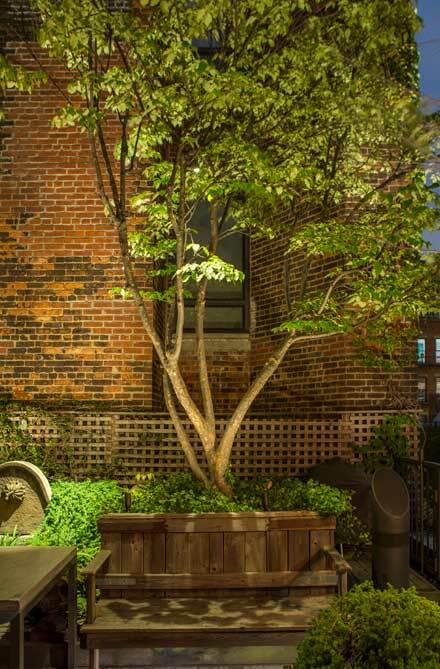 LED lighting also brings a longer life span so your backyard stays lit for a long duration! Moreover, LEDs can emit light for any intended colour without additional filters thus allowing for a more efficient process and lower initial costs. 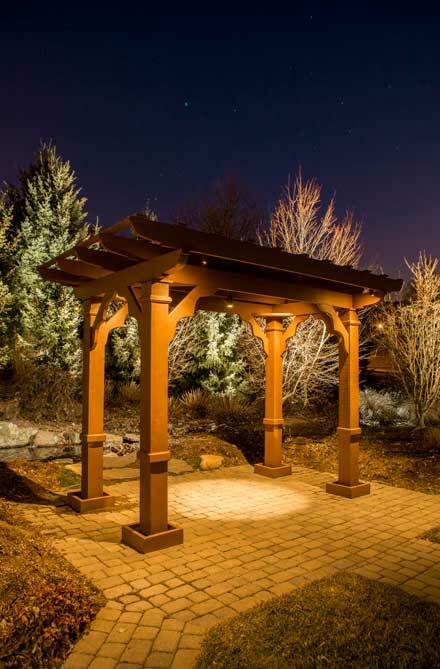 Look for quality landscape lighting solutions and reap the benefits of LED lighting with Conscape Lighting + Audio, serving the Greater Toronto Area (Toronto, Vaughan, Richmond Hill, Thornhill, Newmarket, Aurora, Oakville, Burlington, Mississauga, Brampton, Markham, Stouffville, Ajax, Whitby, Pickering, Oshawa and more). You don’t have to do anything – the wiring is safely out of the way and the lamps are weatherproof. With a great warranty and incredible durability, Conscape Lighting + Audio’s systems will truly light up your life. We can program timer systems that sense when it becomes dark out, or you can program your own custom times through your existing home automation. The possibilities are endless. We offer a Lifetime System Warranty. Our LED lamps come with a 5-year warranty, and are rated for 50,000 hours of expectancy - that’s roughly 17 years of typical usage. With the right wiring and design, Conscape Lighting + Audio provides worry-free lighting solutions. At night time, does your backyard currently become a dark, quiet void? To Conscape, that is simply unacceptable. Our experts use high performance state of the art LED lighting systems to enlighten your outdoor space and provide your family with a backyard escape. From 200 sq. ft. to 10,000 sq. ft., we will provide a spectacular environment.